Dieters of the Middle East, I have stumbled upon a dream and I invite you all to be mesmerized with me. First things first, I have trust issues. I never trust a waiter or a barista with my drinks. I know I asked three times for skimmed milk, but for some unknown childhood trauma, I know deep inside they are going to mess up. I can see the poor man pouring milk from a skimmed milk box, and I still ask twice if it’s fat-free. The sad part is that the skimmed drink is packed with hundreds of calories that are going to end up in my thighs anyway. But today is a good day. Not good enough for Starbucks lovers in Egypt, but it will just do for other branches around the Middle East and Gulf. I noticed Americans sharing photos of their colorful and slightly exotic Starbucks drinks and thanking an Instagram account for them. Let me inform you that The Macro Barista is quite the trend right now on the other side of the world. Founded by Alex Moe, an employee at a Starbucks in Abilene, Texas, this guy is the literal definition of employee of the millennium. Moe created a whole account to help consumers order the exact right drink for them. The whole nutrition world is currently on about macronutrients; dieting is not about limiting your fat intake anymore. The past few years have been all about counting your macros; fats, proteins, and the forever scary carbohydrates. Some dieters choose a high fat, almost zero carb diet, others opt for high protein intake, some just target a general calorie deficit, others are intermittently fasting and it’s always a wild guess when it comes to tracking the macros you consume when there is no back label on your food. Along comes Moe, who tells you exactly what you’re drinking and what to order. Exhibit A: The perfect drink for anyone who is intermittent fasting. If you’re on a fast, you can only have drinks that contain less than 50 calories. This account just broke down for you that a grande blonde double shot on ice, syrup-free with 3-4 pumps of sugar-free vanilla and almond milk is fasting-friendly. This might be challenging in Egypt as we don’t have almond milk, however, in other countries, this might be doable. 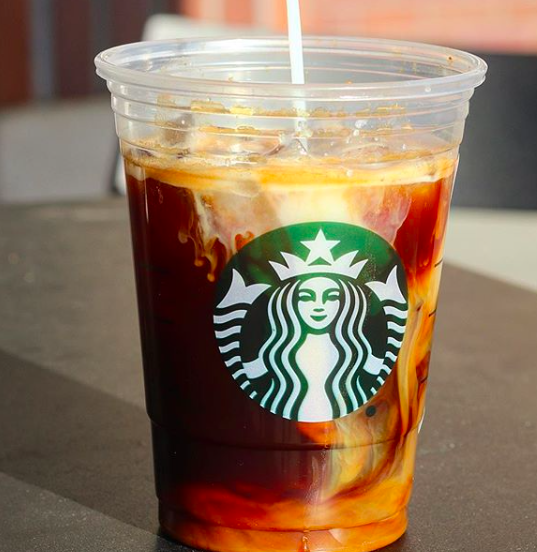 Exhibit B: Iced White Mocha is a sensational drink and you can have it guilt-free now. Ask for a syrup-less grande iced coffee, 1.5 pumps of white mocha sauce, 2 pumps of sugar-free vanilla syrup, and half-cream as the milk. That’s 110 calories for you, compared to the original drink containing 420 calories. 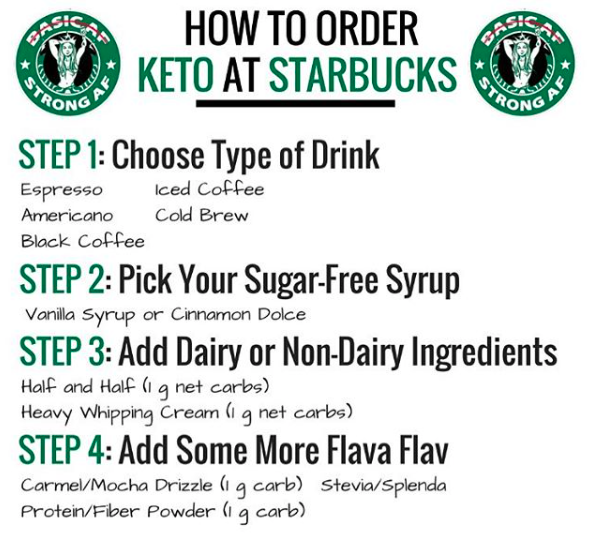 Moe even added the correct tips for those on a keto diet at Starbucks! There are so many recipes on the account as high protien shakes and such. We are expecting an upgrade at Egypt’s stores as some of these cups look insane and Starbucks is depriving us. The least we can have is almond or coconut milk. WE SAID THIS: If you think of this article as a melodramatic, overreaction, then you don’t deserve the bliss that coffee brings to your life. Follow The Macro Barista for a better life.